If your order weighs less than 13 ounces, save huge on shipping with USPS first class (with tracking number). This product weighs 13.4 oz. 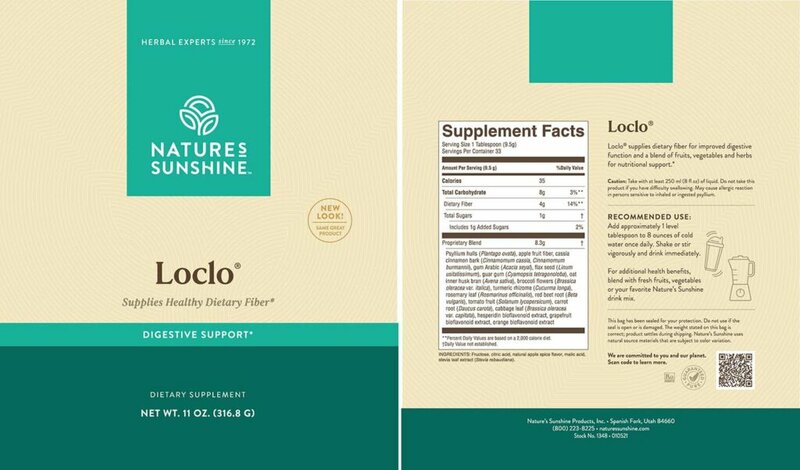 The Nature’s Sunshine LOCLO®, SynerPro formula provides essential fibers from psyllium hulls, apple fiber, acacia gum, guar gum, and oat bran. 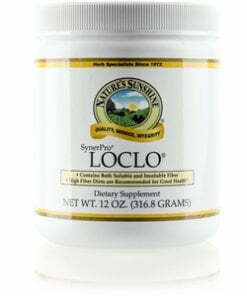 The SynerPro concentrate base included in LOCLO is a rich source of nutrients from the powders of broccoli flowers, tumeric root, rosemary leaf, red beet root, tomato fruit, carrot root, cabbage leaf, Chinese cabbage leaf, hesperidin, grapefruit bioflavonoid, and orange bioflavonoid. The formula also contains stevia leaf extract. One serving is 3.2 grams of soluble fiber and 0.6 grams of insoluble fiber for a combined 3.8 grams of total dietary fiber. LOCLO is sodium free. LOCLO should be taken as recommended and good hydration is essential. Persons with esophageal narrowing or difficulty swallowing should avoid this product. Persons sensitive to inhaled or ingested psyllium may experience an allergic reaction. Instructions: Add approximately 1 level tablespoon of LOCLO fiber supplement to 8 ounces of cold water. Shake or stir vigorously and drink immediately. Each serving provides 3.8 grams of dietary fiber.